Juniel said she think she will be back next week or to several times, because she doing a good job on the corner. 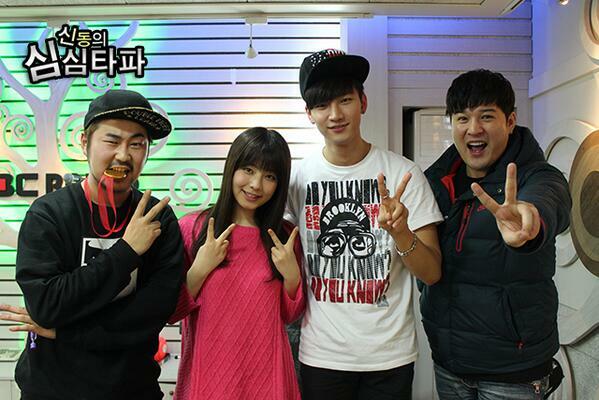 Shindong shimshimtapa is a radio program hosted by Shindong from Super Junior. 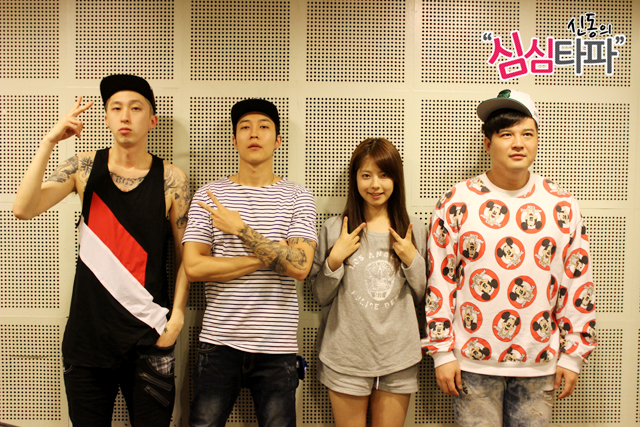 Juniel is a special guest for a corner that air a short radio drama. So she has to act in this corner. The fixed guest for this corner is B1A4 CNU and Gongchan. Shindong:Been a while since juniel been in SSTP. 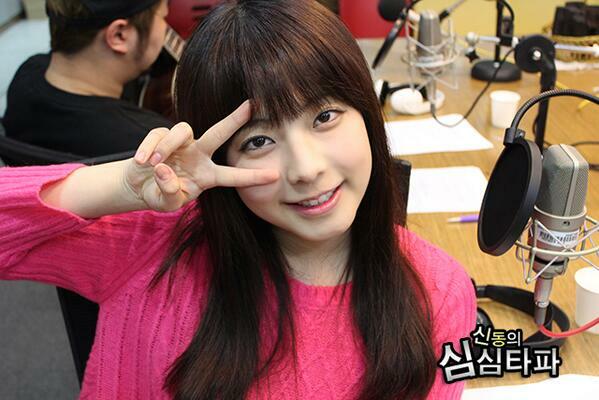 Juniel was a fixed guest on one of SSTP corner with Baro a year ago. Shindong asked to gongchan and cnu did baro said anything about juniel. Cnu said that B1A4 and juniel met on their way to radio once. Baro and juniel friendly greet each other. Gongchan said that baro and juniel call each other by nickname like jokbal(?) and Patbingsoo. 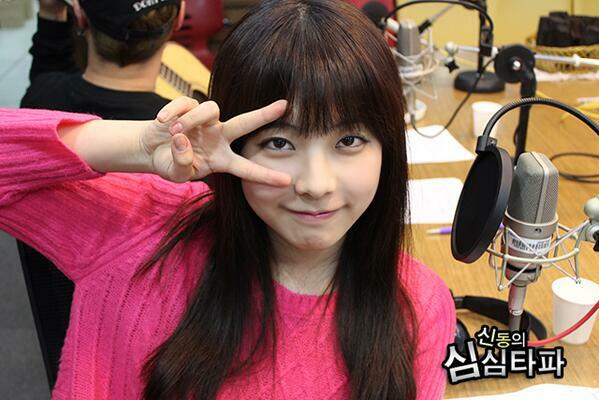 Juniel said that it was their SSTP nickname. She is called patbingsoo and Baro is panjuk(?) . After juniel and baro no longer become fixed guest in SSTP they promised to stay close and call each other by their nickname on SSTP. CNU laugh out loud because what juniel said, when asked why he answer because juniel is too honest.